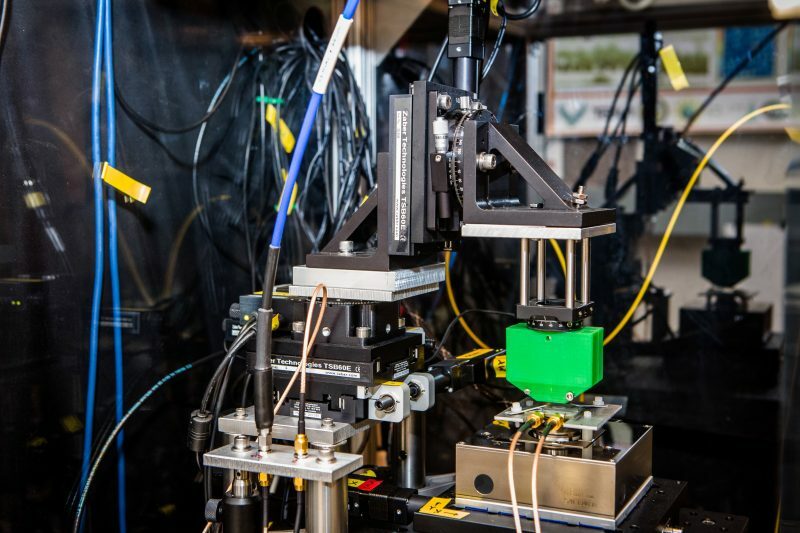 Sensing static magnetic fields with high sensitivity and spatial resolution is critical to many applications in fundamental physics, bioimaging, and materials science. Even more beneficial would be full vector magnetometry with nanoscale spatial resolution. Several versatile magnetometry platforms have emerged over the past decade, such as electronic spins associated with nitrogen vacancy (NV) centers in diamond. Achieving vector magnetometry has, however, often required using an ensemble of sensors or degrading the sensitivity. Here we introduce a hybrid magnetometry platform, consisting of a sensor and an ancillary qubit, that allows vector magnetometry of static fields. While more generally applicable, we demonstrate the method for an electronic NV sensor and a nuclear spin qubit. In particular, sensing transverse fields relies on frequency up-conversion of the dc fields through the ancillary qubit, allowing quantum lock-in detection with low-frequency noise rejection. In combination with the Ramsey detection of longitudinal fields, our frequency up-conversion scheme delivers a sensitive technique for vector dc magnetometry at the nanoscale.